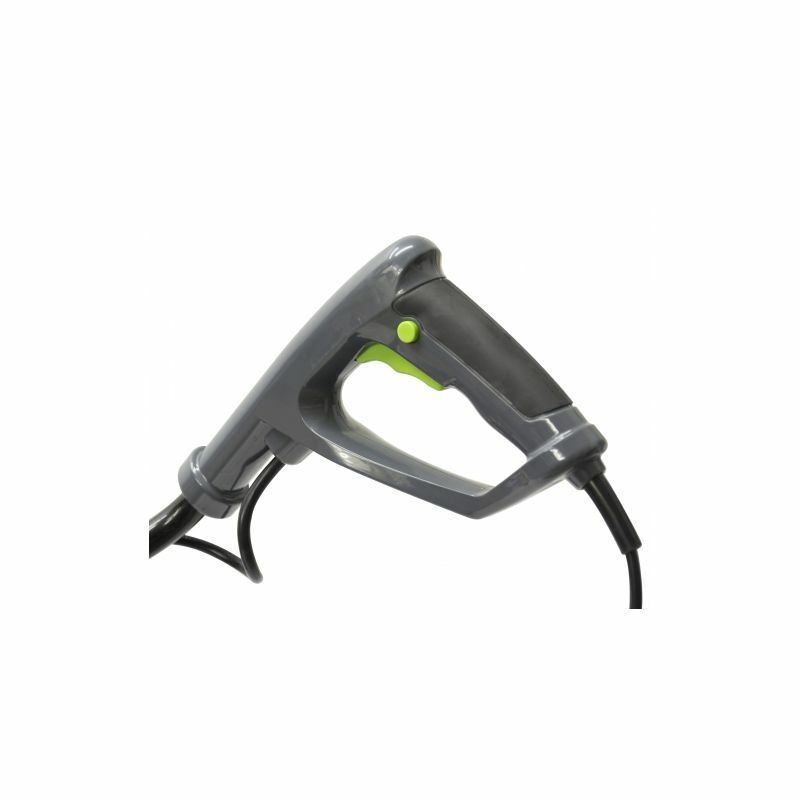 Whether you’re an allotment-keeper, flower-growing enthusiast or keen kitchen-gardener, this powerful but lightweight and easy to handle electric front-tine tiller from Handy will make the job of aerating, weeding and bed-preparation a whole lot easier! 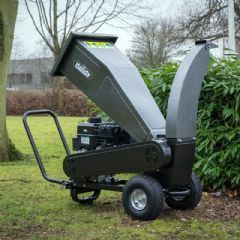 The Handy THET1400 has a highly productive 43cm tilling-width that can be reduced by removing the rotors - you can operate with either two, four or six rotors fitted, thereby enabling you to achieve a fast work-rate when required, or to till between narrow rows of existing plants without worrying about damaging them. 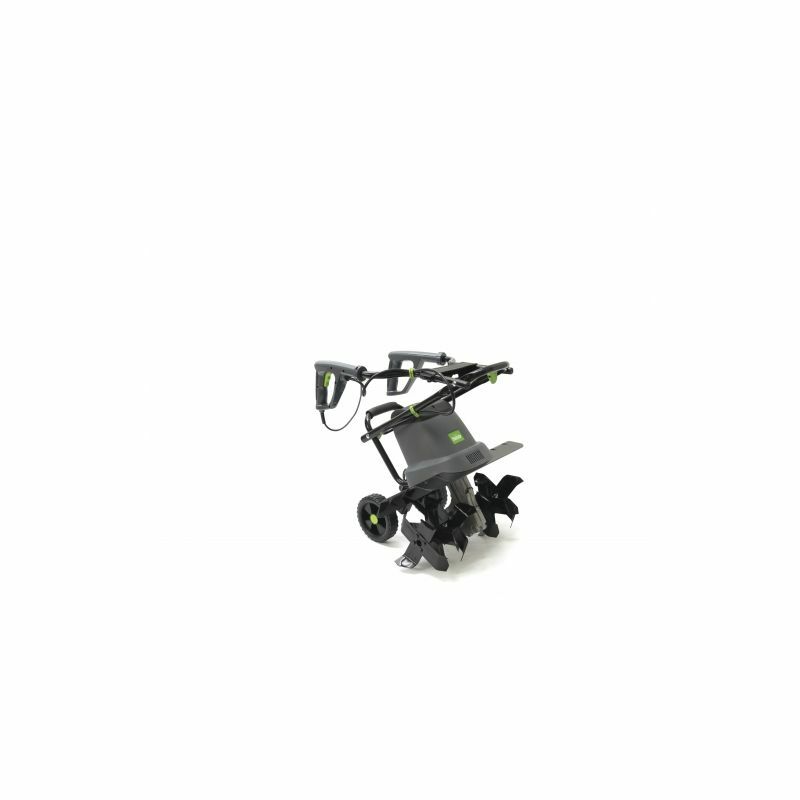 It’s equipped with a pair of adjustable transport-wheels, so you’ll find it easy to manoeuvre from one part of the plot to another; and it boasts a folding handle that combines with its compact overall dimensions to ensure you’ll be able to find a spot for it in the most machinery-packed shed. 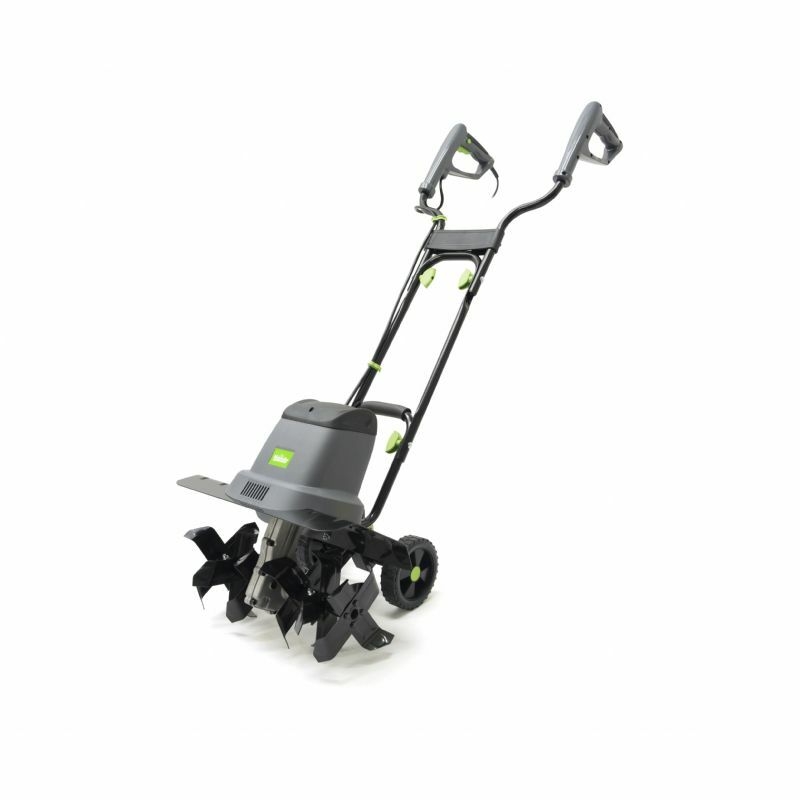 This high-performance 1400w model weighs-in at only 15kg and is capable of tilling down to a depth of 20cm. Comes with a lengthy 10-metre power-cord. 43cm working width, 20cm working depth. 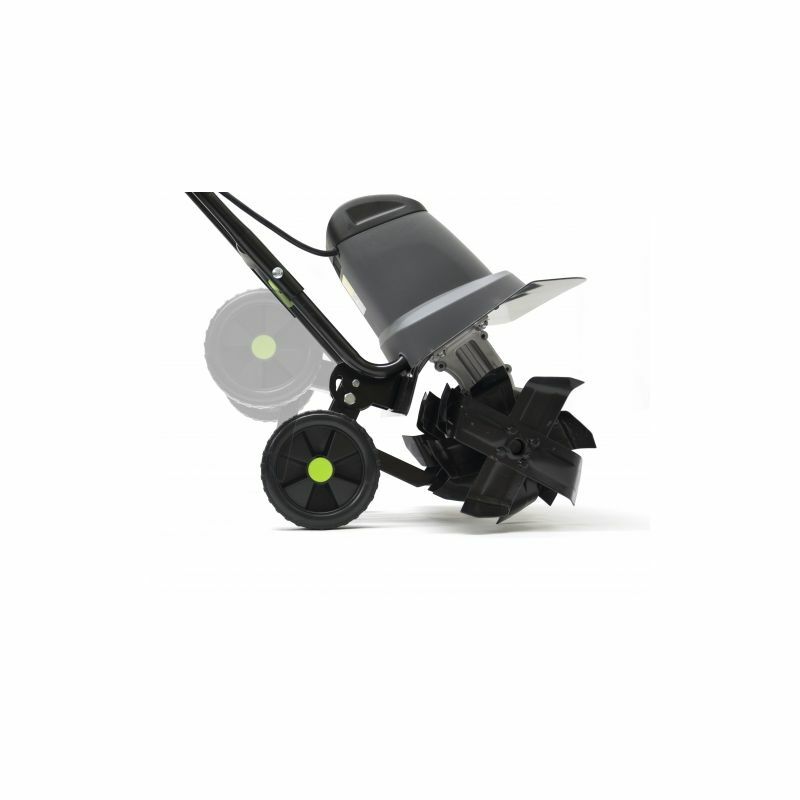 Electric tillers are eco-friendly and much easier to start that pull-cord petrol models. This tiller also has a folding handle, so it’s easy to store away between jobs or during the winter months. It’s also easy to transport thanks to a pair of rear wheels. Worked to my expectations. Prepared my vegetable area in 30 mins which by hand took me 5 to 6 hours and to a better finish. Takes a fair physical effort to hold required level.